All you need is love, that is all you need…. It is almost the month of love, February. Got me to thinking about all the kinds of love there are. When I was a small child, I would ask my mother “Who do you love more, me or Daddy?” She would always patiently answer, “I love you both, but differently.” I’ll admit that this answer never truly satisfied me. I, of course, wanted her to say she loved me most in the world! Above you see Vicki, and her daughter Beth. You can just feel the love radiating out of this portrait. Vicki lives here in town and Beth has moved pretty far away, but I wager that the miles fall away whenever they text, call or skype. 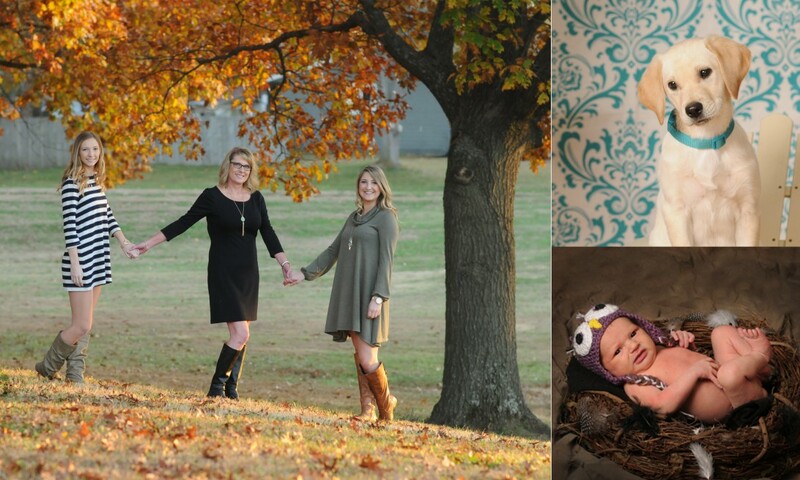 I am so blessed and honored to have been asked to photograph their whole family this day after Christmas. Married love, love of a child, love of a friend or sibling….they’re all different but yet the same. I feel that the more we love and have close, personal relationships the bigger our heart grows. I think society sometimes get too caught up in everyone’s business of loving and who and what they’re loving. Love is a personal ‘thing’ to be held close in and within your heart. Who you love and what you love is your business, and only yours. Go today and love someone. My mother Tillie was a kind, quiet woman. I think she always felt that listening was what she should be doing….more so than talking. My sister and I definitely used that feature of her personality a lot growing up and even well into our adulthood. In today’s climate of unrest and the constant need to let everyone know our opinion on social media, maybe we need to take a chapter from Tillie’s book. More listening and less talking. But….. I feel we need to try to hear each other as well, there is a difference between just listening and actually hearing the other person. Last Saturday was the 5th anniversary of my mother’s death. Hence the reason I am so nostalgic, I guess. I can’t imagine what she would say about the state of our world these days….probably that there needs to be more kindness and listeners. I for one vow to carry on her traditions, and try my best from now on to talk less, listen more and to be kind! Below are two photos of Tillie, the left is from a few years before her death. The right is Tillie at around 30. Beautiful lady! I have never felt unappreciated in all the years that I have done rescue photography, I want to put that out there loud and clear! I hear “Thank you for what you do!” so often. The sentiment that makes me want to cry is “The animals really get adopted faster because of your images!” . I cannot tell you how humbled I feel that I have a part in the amazing work that these rescue and shelter workers and volunteers perform. I can’t imagine what it feels like to see the many scared and hurt animals that they must deal with on a daily basis. What prompted this blog post, you might be wondering? A lovely friend of mine, Kris Saia, presented me with a treasured gift the other day. Yes, it made me cry… she captured me in an amazing way, but also seemed to get in my heart and see the joy that I feel being with the animals, but also doing the work that I do. I cherish meaningful gifts like this! It will always make me smile when I pass by it, and also remember the many times and many people who noticed what I do and thank me. Thank you, Kris, and thanks for noticing!